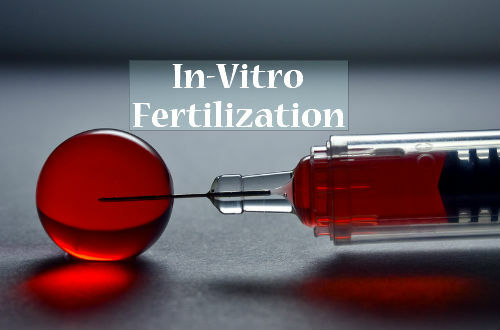 The IVF procedure is one of the sub categories in the assisted reproductive technology, usually done for couples who are not able to achieve the state of pregnancy. Infertility is the main reason found commonly among the couples for attaining this state and this process is one of the remedy for the infertility. Infertility is the state which may occur in either men or women which may be caused due to various factors including age being the important reason behind the problem.In this article, we will have a glance at the IVF Procedures and the major effects and risks associated with the treatment. To clear the blocked or damaged Fallopian tubes, IVF technique may be used to clear all the blocks.They may be used to decrease the motility of sperms and other problems like infertility of the sperm counts. They are used among women for whom having problems with the ovulation, premature ovulation failure and for women who have fibroid in the uterus. Some of the rare cases where infertility reasons are not found, may also procure the treatment. Women who have removed their Fallopian tubes also fall under this category for getting treated and people who suffer with some genetic disorder also undergo the treatment. The main function of this step is to monitor and stimulate the growth of healthy eggs in the ovaries. There are specific fertility medications which are suggested to stimulate the production of the eggs. The main focus depends on producing more eggs since there are high chances that some eggs may not get fertilized after they are revived. Blood tests are vital to check the hormonal levels for this procedure and trans-vaginal ultrasound may also be of great use to check the development of ovaries in women. The function of collecting the eggs is the main focus in this step and they are usually collected using minor surgical procedures using ultrasound imaging to insert a hollow needle through the pelvic region to remove the eggs from the ovaries. Reduction of discomfort caused during the process can be drastically done by following certain medications as prescribed by the doctor. Normally the level of pain experienced is normal among most women but to prevent the infections that may occur, medication may be the best solution. This step is mainly involved in securing the sperm from the male. Normally, the specimens of sperms are collected and they are combined with the eggs for the fertilization to occur. Usually the males are asked to produce the samples of their sperm which are collected and preserved and then they are injected into the eggs taken from the females and insemination may also be done to increase the number of healthy sperms in the egg to make it fertilize soon. Insemination is a process where the samples of the sperms of the man are collected and tested to increase the amount of healthy sperms in the sample and are combined with the eggs. They are kept in the laboratory with several precautions to inhibit the process of fertilization. There is a rare phenomenon of lower level of fertilization in some cases which may enforce the intracytoplasmic injection to be taken by the patient.By using this procedure, a single sperm can be injected to inhibit fertilization and monitoring is done to check whether cell division and fertilization takes place. When these eggs gets fertilized, these eggs are considered to be the embryos. Once these eggs get fertilized and are said to be embryonic in nature, they are usually injected into the uterus of the woman normally within three to six days after the fertilization of the eggs has taken place. The procedure is done by inserting a small tube or a catheter inside the uterus to place the embryos . Usually, there is no pain experienced among most women in this procedure. Mild Cramps may occur in among some women. The success rate of the procedure can usually be witnessed within six to ten days after the implantation of the embryos. Experiencing mild bloating or mild cramps along the pelvic region is common for some women. Minimal amount of fluids either mixed with blood or clear substance may get excreted for few hours after the process. Other side effects may include common problems like the tenderness in the breast and constipation.